In recent years, various aspects of Social Security have dominated newscasts, and the reports aren’t good. Social Security is in serious trouble and it’s not likely to last long enough to benefit today’s workers. Fortunately, there are other options. The 401k plan has been a favorite choice for among workers and employers and provides a viable solution to the government’s failing retirement plan. However, there are some things you should consider before opening one of these lucrative accounts. A careful understanding of the best options for your individual 401k will help you get the most out of your retirement. The best 401k move of all is to sign-up! And yet, a quarter of workers fail to sign up for a plan. This leads to a lesson learned too late in life when a worker decides to retire but realizes that their savings aren’t enough to support them. The sign-up process varies somewhat for each organization, but one of the most important aspects to determine up front is who will actually be handling your account. Will you have options over where and how you invest, or will your company hire someone to do this for you? While it may seem lucrative to have another investor take care of your account, you should carefully monitor their investment choices to ensure that your retirement goals are being met. If your employer offers an automatic escalation plan along with your 401k, be sure to sign up for it as quickly as possible. Many employers also offer enrollment periods, when you can actually elect to change contributions to your 401k, or start investing. If you are new hire, this is usually after your probationary period. Other employees may have this time annually on their anniversary, or during a single period for the entire organization. Another one of the most common and best 401k moves is to diversify your investments. 401k accounts generate earnings from interest that is derived from mutual funds and from the growth of these funds over time. These mutual funds focus on a number of different investment types, including stocks and bonds. Therefore, having a diversified 401k account is extremely important for its success. Your 401k plan should not only include several companies but also several different industries. You never know when one industry will fail (and its companies with it) while another flourishes. Also, make sure that you don’t have all of your money in your employer’s stock. Many employers match employee contributions with company stock – and over time this amounts to a huge portion of the 401k portfolio. If the company were to fail, this would be catastrophic. Therefore, you should diversify your portfolio out of company stock and into other mutual funds. You also shouldn’t be afraid to invest as much money as possible into your 401k account. Most employers will actually match your investment up to a certain amount. Investing at least this much of your income will lead to free money that will only grow with the value of your 401k. This is especially important for younger workers, where history has proven that the long-term gains of the stock market are far more than enough to compensate for a bad year or even a recession. Many people fail to do this because they do not believe they can afford it, when in reality they simply forgot to consider the fact that these retirement accounts are funded by pretax dollars. So if you happen to fall under a 30% tax bracket, only 70 cents will be removed from your paycheck for each dollar that you invest. That money would have otherwise been used to pay taxes. This is one of the best 401k moves that most investors tend to ignore. Eventually, the time will come when you need to take action with your 401k account. If, for example, you leave your company for a better position elsewhere, you will need to rollover the funds from your 401k account. If you don’t, you could pay fees for withdrawing your money early in addition to facing a greater tax liability. Although the typical choice is to rollover the 401k to an IRA, rolling into your new company’s account or even leave it where it is if it was a particularly good option. If you do plan to withdraw money from your 401k, there are some things that you should consider first. Find out what the age limit at which you can withdraw money without paying any penalties. If you have not reached that age yet, you should be aware of how expensive penalty fees will be and whether it’s worth the cost. Readers, what are your thoughts on these 401k moves? Is there anything you would add as a must? What would you consider to be the best retirement plan? Just getting started to contributing money as early as possible in a career is one of the best moves. I still haven’t started contributing to my 401k. I’ve been at my new job for about 5 months now though. I think open enrollment is July each year so I will wait until then and keep putting money away in my Roth. I don’t have a 401K in Canada but I do have an employee pension program. They match our contribution 100% which is awesome. It boggles my mind that some people chose not to participate. It’s free money. I would also add “Keep Your Hands Off” in that you should not be tempted to take loans or early withdrawls. Enrolling in a 401K is the very first thing to do! Start with the most you can afford. The longer you have the money in a 401K the better off you are. These are all really good moves. For many, it’s just a matter of getting started and getting past inertia. For those with employer matches, it’s almost like giving away money if you don’t sign up. I’d also add that a good 401k move would be to avoid early withdrawal of funds and avoid borrowing against a 401k. Great tips. I agree with the other comments. Just get it started. It’s amazing how many people don’t. I have to admit, sometimes the extra paperwork is tiresome, but it’s worth it in the long run. Great move by companies automatically enrolling and it is up to the employee to opt out. Some people can’t help themselves. Really good tips – I will never forget my dad (in his 40s) telling me (a teenager) that I should max out my 401k. He always said he regretted that he didn’t learn about it sooner. I am glad this information is out here so people just starting don’t have to be burdened with the concerns my dad had back then. I would say max out your 401k as soon as you can. The earlier you start, the bigger your nest egg will be. It’s amazing how many people with good jobs and benefits don’t get their 401k and retirement planning started. 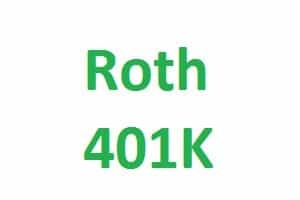 If your company offers a 401k and you already own a Roth IRA (Currently contributing to it), what would you recommend put more money in? I would put enough into the 401k to get your maximum company match, and the max your Roth IRA after that!